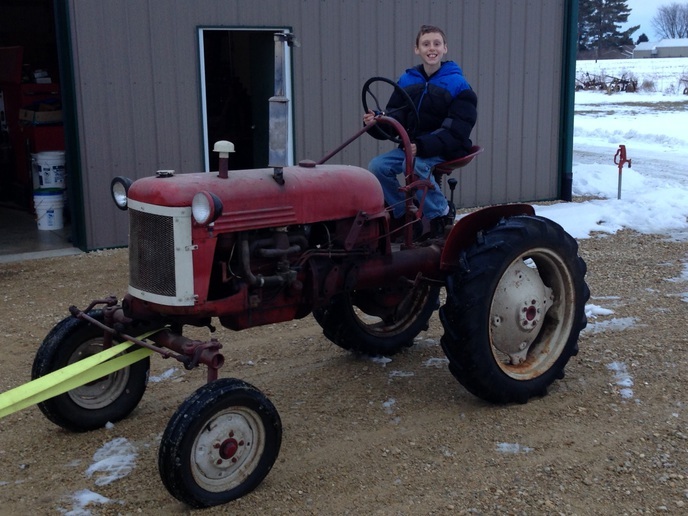 I am helping my son with his '49 Cub full restoration for his 4H project this year. We are taking the engine to the machine shop to get hot tanked, bored, and the crank turned. We will bring it home to install the valve guides, then take it back for a valve job. My question is, where is the best place to order the rebuild kit? I see several places and want to get everyones input to select the best quality parts. My preference is to get it from the machine shop. the one I deal with has very reasonable prices, and will go ahead and gap rings and install pistons, rod and crank bearings, for a pretty small fee. Either the machine shop, as recommended by John or your local auto parts store. You local auto parts stores can obtain quality Cub engine overhaul parts. Make a list of all parts needed for the overhaul. Price the parts at the various suppliers. You will find that there is a considerable price difference for the same part, item. I will do some shopping as well as compare the machine shop price. Thanks guys. Here is a pic of our project ad we drug it out of the shed to begin. I think it's awesome you are helping your son do this, he will remember it for a really long time! Get the kit before you take it to the machine shop if you don't buy it from the shop. You want to have the pistons there so they can properly bore the cylinders to match the pistons. Hello guys, thanks for all the recent replies. But I had asked this question back in April as we were working on the project for the 4H fair in July. Here is a photo on where we ended up at the fair. We didn't get the decals on because the summer was so rainy, we were literally painting in the shed on a rainy day. So it looks good from afar, but close up it needs to be repainted. We didn't want to waste the expensive decals on it. We had gotten much appreciated help from members here with many different aspects of the full rebuild. We took the engine to the machine shop completely disassembled. They did the machine work and ordered the kit for us. We brought it back home in all the pieces and put it back together. We likely paid too much for the kit from them. But in the time we had to complete it, that was the right decision. Opps the revise of old thread my fault ,,,,,,,, anyway the project came out nice the kid will remember that one for sure, Congrats! 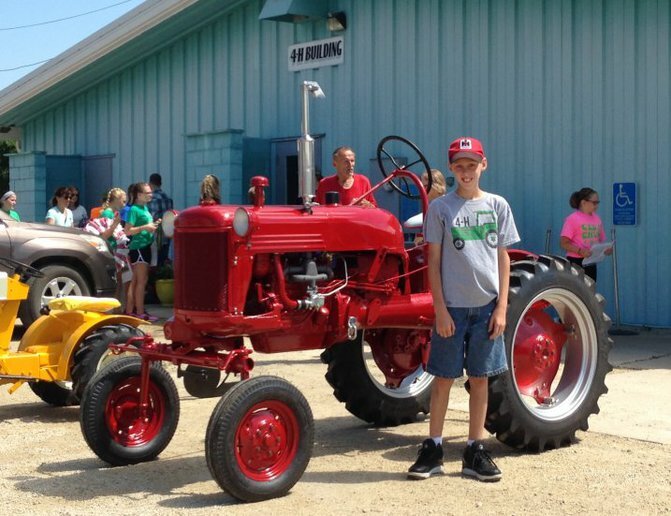 Other than an odd colored tractor on your son's shirt, it looks like everything turned out great (just kiddin' about the shirt). So great you and your son got to do this project together. My dad was not mechanically inclined at all, so we never did stuff like that. Thanks for updating us on this post. Doing a project like this with your son is awesome!! Not near enough people do this anymore. I love seeing stories like this.